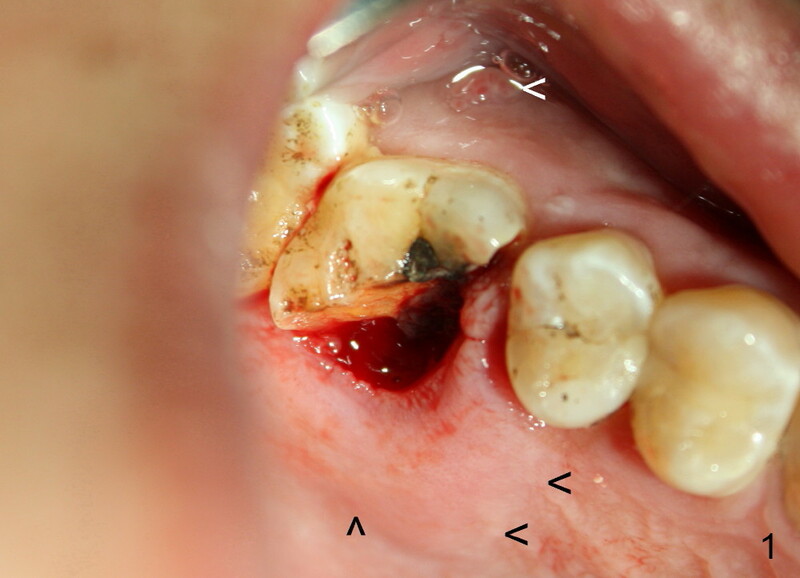 A 52-year-old man fractures the mesiolingual cusp of the tooth #3 with a buccal fistula (Fig.1 white <) and a palatal swelling (black <). Fig.2 is taken prior to fracture. 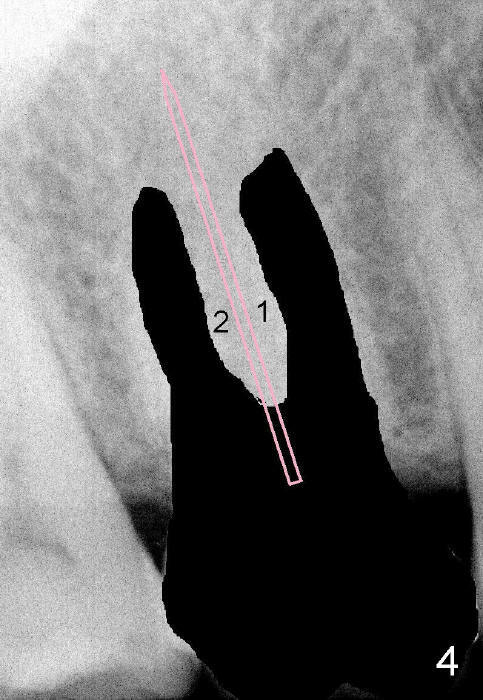 Treatment planning is to extract the tooth with sectioning (Fig.3) and start osteotomy with a 2 mm pilot drill (Fig.4 pink) in the septum (1,2). With combination of osteotomes and drills/reamers, the septum is expanded (Fig.5 arrows) to accommodate a tapered implant (brown). 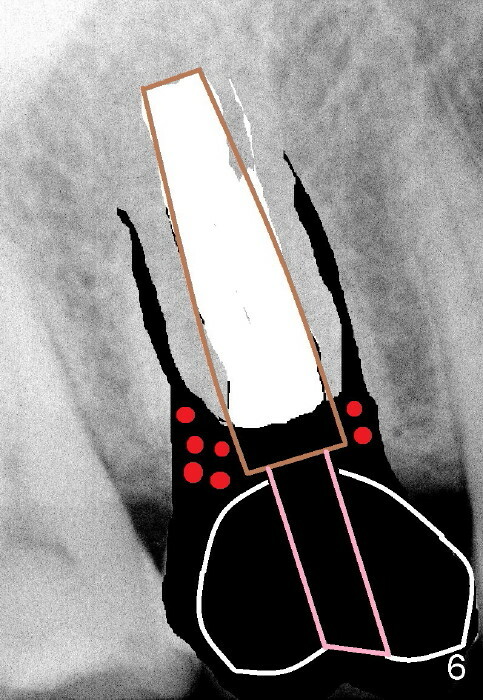 A wide temporary abutment (ø 4.8 or 5.8 mm, Fig.6 pink) is fixed in place with an abutment screw; the height is adjusted infraocclusal. 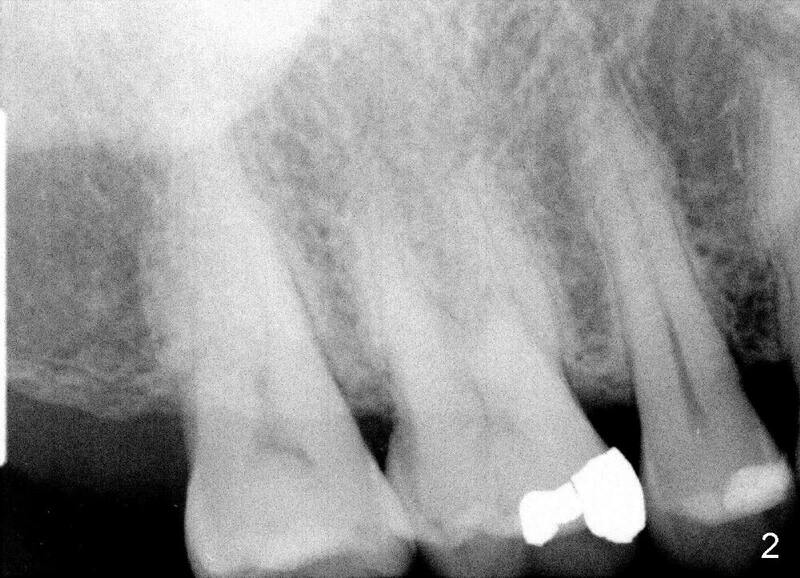 An immediate provisional (white outline) is fabricated around the temporary abutment. The provisional should also be infraocclusal. The abutment/provisional complex is removed from the implant for adjustment and polish. 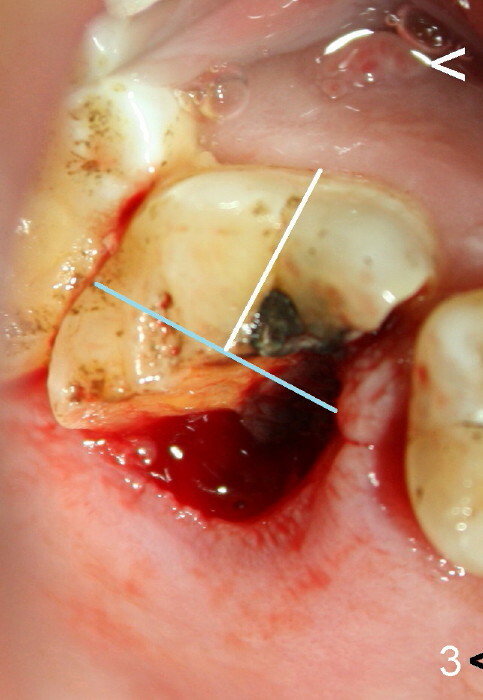 Before the complex is reassembled back to the implant, bone graft is placed (red circles). A collagen membrane could be used. 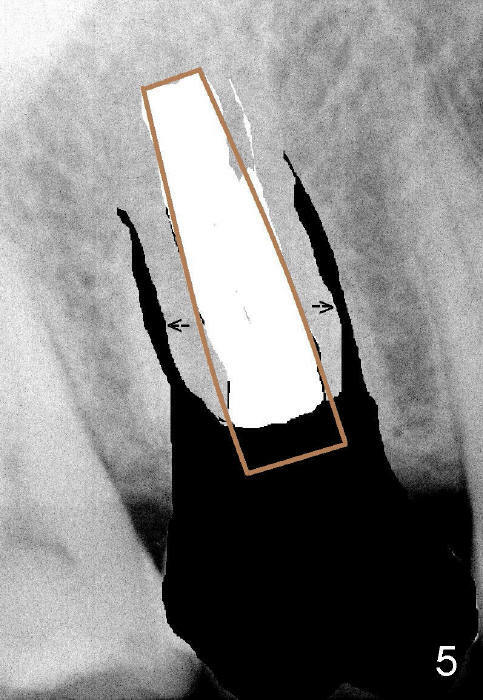 The advantage of the abutment-retained provisional is that the socket opening can be covered completely and in a more secure manner no matter what shape the socket is. Let's wait for the result.